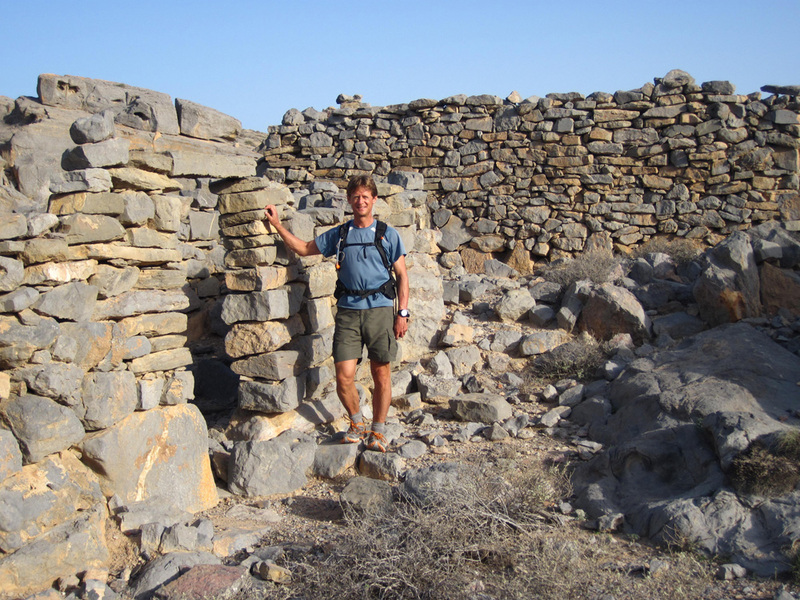 Other: Expeditions to Greece, Turkey, India and Oman to study historic earthquakes and tsunamis. Remote fieldwork in North America, Central America, Europe, Asia and the Middle East. Isolated. Rugged. Desolate and beautiful, Oman is a desert nation containing vast sand seas, rugged coastlines teeming with aquatic life, and a wild and unexplored mountainous hinterland. It is also a country with a rich cultural rooted in antiquity. Beyond Roads is an expedition of discovery. 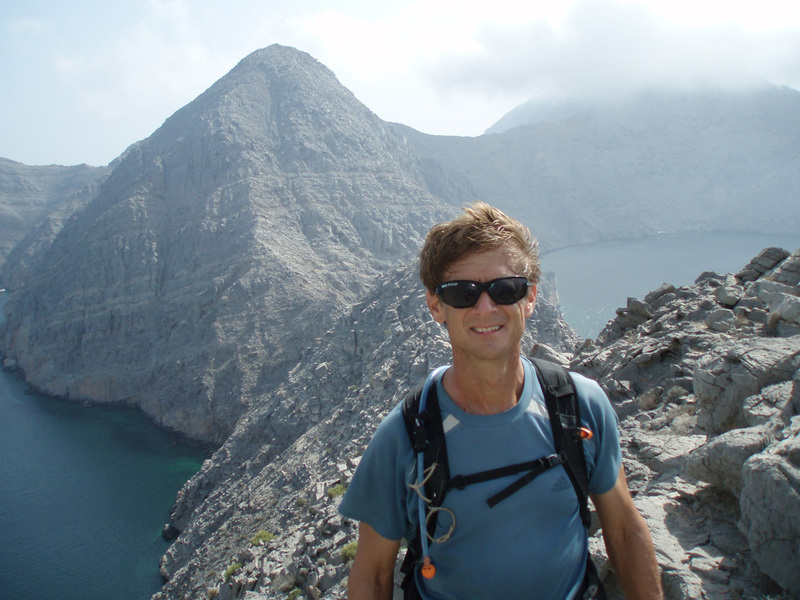 Three Adventure Science members will travel to the remote Musandam peninsula at the northern tip of Oman in order to study tsunami deposits and undiscovered archaeological sites. The team will be dropped by fishing boat at the northern most tip of the peninsula and will have 10 days to hike over 50 kilometers through rugged mountains to return to civilization in the town of Khasab. Drinking water will be non-existant and the team will rely on water drops spaced 3 days apart. Their only food and supplies will be limited to what they can carry on their backs. The team will study and explore the vast terrain, employing their skill and speed as adventure athletes to survey large areas daily. In our modern era of high-tech exploration and discovery, we tend to overlook the value of putting people on the ground to see the landscape with their own eyes. This is especially important in physically demanding environments like this, where fitness, experience, and toughness will allow our team to accomplish what others have deemed impossible. 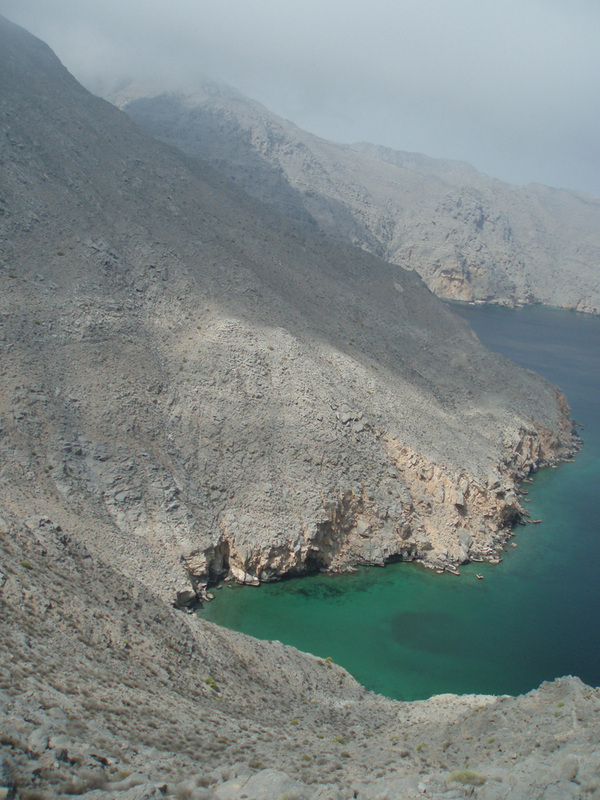 Located at the northern-most tip of Oman, the sparsely populated Musandam Peninsula is an extremely rugged promontory lacking roads, infrastructure, and is highly under-explored. This mountainous isthmus separates the Gulf of Oman from the Persian Gulf by creating the Strait of Hormuz, which has been geographically important for millennia with respect to maritime trade and strategic control of the entrance to the Persian Gulf. Today, it forms the choke pointˇ for one of the world's most important petroleum shipping routes, and oil-laden supertankers pass through the Strait on a daily basis. This peninsula is located proximal to the seismically active yet poorly understood E-W trending Makran Subduction Zone (MSZ; ~800 km long) , where the Arabian plate is subducting under the Eurasian plate and is known to have caused catastrophic earthquakes and tsunamis within historic times (Heidarzadeh et al., 2008; Okal and Synolakis, 2008; Satake et al., 2003). In particular, the peninsula is ideally positioned to help shed light on the frequency of tsunami generation by the western portion of the MSZ, as little is known about its seismicity and consequently seismic risk (Byrne et al., 1992; Heidarzadeh et al., 2008a, 2008b). The goal of this project is to enable/enhance the construction of a long-term record of earthquakes and tsunamis by exploring for pre-historic tsunami deposits (tsunamites) generated by the MSZ (i.e. McFadgen and Goff, 2007; Jankaew et al., 2008). We plan to conduct an exploratory sedimentologic study along the embayed coastlines of the eastern side of the Peninsula. The recent work of Donato et al. (2008, 2009) showed that tsunamis have affected the Omani coastline and left recognizable deposits, as evidenced by the discovery of a tsunamite generated by massive 1945 earthquake epicentered on the eastern portion of the MSZ (Pararas-Caryanis (2006) notes the event caused over 4000 tsunami deaths in Oman, Iran, Pakistan, and India). Due to its proximity to the fault and lack of anthropogenic modification of the embayments along the peninsula (eastern margin) there is a high potential for the preservation of tsunamites along the shore (Rothaus et al., 2004) and in the shallow water, which can be used in the construction of a long-term tsunami record for the region (Reinhardt et al., 2006; Goodman et al., 2009). This research will also build on the previous work of Donato et al. (2008, 2009) to further expand the tsunami record for the Gulf of Oman. This has particular political importance to the Sultanate of Oman which has a large proportion of its population living along the coast and therefore at risk from catastrophic tsunamis. The geologic and geographic importance of this region was recognized in 1971-72 as N.L. Falcon led an exploratory Royal Geographical Society (RGS) expedition to the Musandam Peninsula to collect data on the Quaternary history of the region. The expedition collected geologic data offshore of the proposed region of study, but did not study the sedimentology of the coastline beyond the description of the erosive effect of boring bivalves on limestone cliffs. In addition, the RGS reports filed by Falcon noted that the ruggedness of the region presented a significant barrier to study (Falcon, 1973). Forty years later, the region remains unexplored and there is no academic work describing the sediment record along its numerous coastal embayments. The absence of data in a region with high preservation potential for tsunamites provides an excellent opportunity to expand our knowledge of the frequency of tsunami events in the Gulf of Oman. In order to operate in such a remote and challenging environment during a two-week field season, we will be employing a novel field approach in this exploratory proof of concept expedition. Tsunami experts will co-ordinate and lead Rapid Survey Teams (RST) composed of adventure athletes to enhance and augment the researchers ability to conduct field work safely and quickly. Considering that this large area would be difficult to recon by conventional methods (physically or prohibitive cost), this methodology promotes a more efficient, focused, and cost effective use of researchers and research funds. In addition, the RST methodology has the potential to be applied globally for paleontologic (e.g. hunting for Dinosaur fossils in Greenland or Antarctica), archaeologic (i.e. prehistoric settlements in Canadian Arctic), and ecologic (plant/animal surveys) expeditions. The addition of athletes with significant backcountry experience will be an asset to the expedition because they are accustomed to operating in challenging environments and bring many skills to the project, including being disciplined outdoor problem solvers and having the ability to safely travel self-supported with minimal outside support. Most are university educated and their motives compliment the research objectives very well. Finally, long days of physically demanding work is viewed by these athletes as an enjoyable volunteer opportunity, instead of a prohibitive challenge. Consequently, the use of adventure athletes presents an opportunity to increase the level of data collection beyond that of a less fit field crew. The presence of numerous, undisturbed embayments provides an excellent opportunity to test the RST methodology and rapidly assess the preservation potential of tsunamites a region known to produce catastrophic tsunamis. Teams will collect geological data in an effort to create a seriatim of locations to revisit for further detailed data collection. Rapid survey methodology presents a cost-effective way of assessing the potential of a physically challenging research environment prior to launching an expensive field operation to collect data. 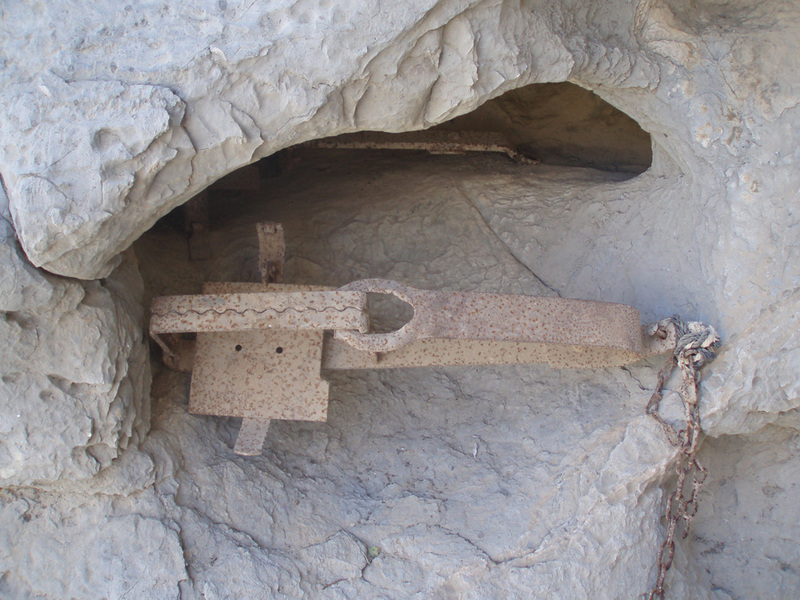 It is our hope to use this expedition to A) identify the preservation potential of tsunamites along the Musandam Peninsula, and B) test the effectiveness of using Rapid Survey Teams (RST) in physically challenging regions that are logistically difficult or prohibitively expensive to operate in. Finally, this proof concept expedition complements the aims of the NGS/Waitt grant and has the potential for serendipitous discoveries as our adventure athletes push their physical limits in this rugged peninsula. 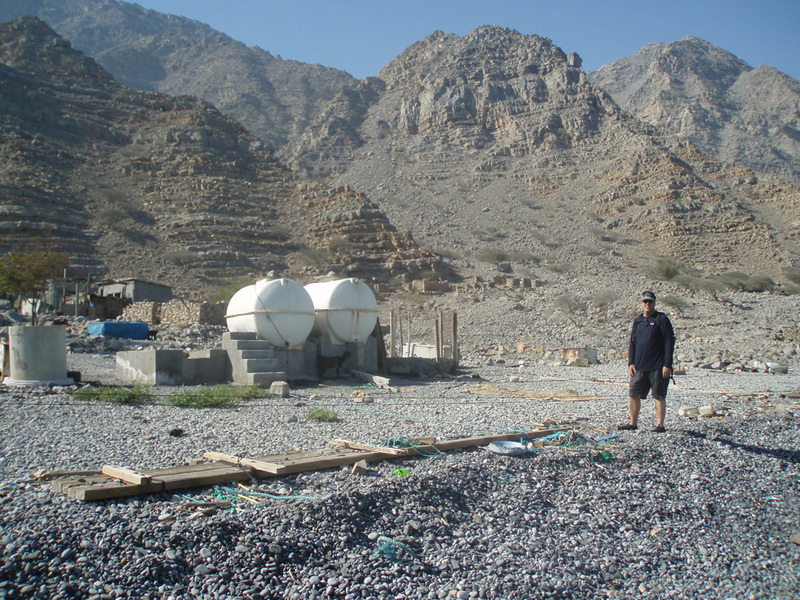 APPG: Check out an article in the AAPG Explorer (February 2012) on the Beyond Roads: The Musandan Oman Expedition called Dangerous Beauty. Breathe Magazine article: Article on the Oman Expedition in Breathe Magazine Volume 6 issue 11. Calgary Herald Article: Read online here. Calgary Herald: Read the pre-expedition article here. Interested in sponsoring Adventure Science? Contact us to find out how!